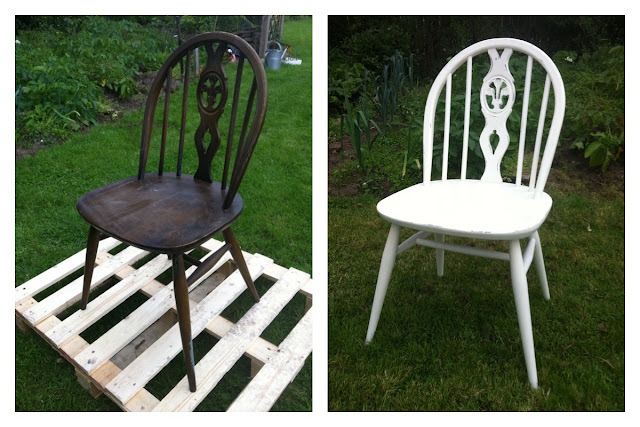 Just a quick post to show you a before & after shot of a chair I've been doing up this weekend. 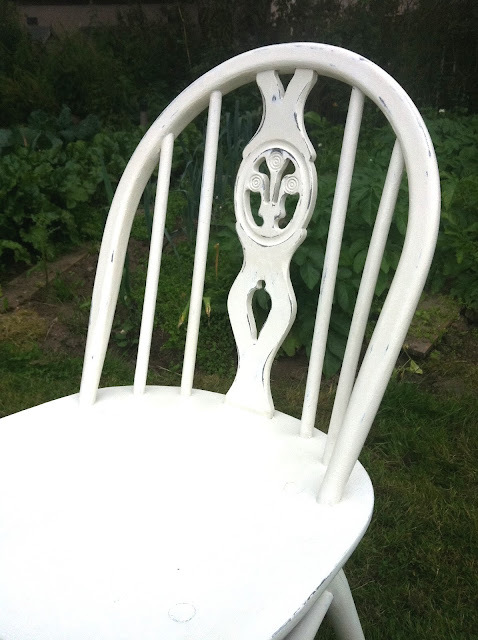 It's an original Ercol chair, probably a 1950s one. I have two, so once they're both done they'll make a great pair in someone's kitchen!